The OFFICIAL MLB Vintage Series Tapestry Throw by The Northwest is a retro tribute celebrating your favorite baseball team. 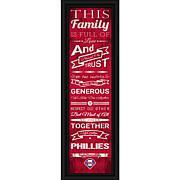 This fringed tapestry is highly detailed and reminiscent of your favorite baseball teams long history with a vintage version of the team s logo. 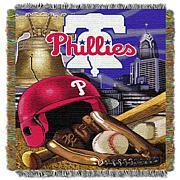 Use our OFFICIAL MLB Tapestry Throw to keep warm under while watching your team play, or even use it as a picnic blanket in the park. This vintage 48 x60 throw is both eye-catching and versatile enough to be framed to use as a wall hanging for home decor. 100% Polyester. MADE IN AMERICA. Machine wash cold separately using delicate cycle and mild detergent. Do not bleach. Tumble dry low on gentle cycle. Remove promptly. Do not iron. I purchased it as a gift for my brother. He said he really liked it so the gift was a winner. Not sure about the quality yet.